Thanks to the latest technology and equipment available, traveling has never been easier. 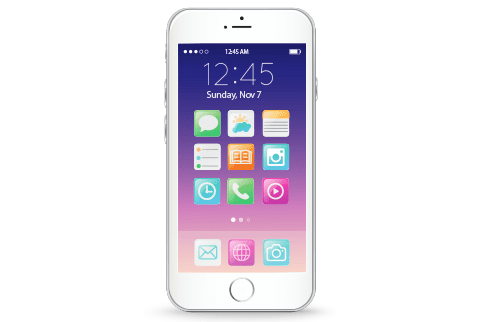 With the help of many applications, particularly translation apps for iPhone, communication becomes possible, regardless of which country you are in. If you have an iPhone and you are in a foreign country, language will not be a barrier to communication. There are many applications in the App Store that can help with translation, tests conducted have shown that some of them are useless, but there are some applications that absolutely meet the needs of casual translation. I would say some of the most useful and most widely used translation tools are already currently available for your iPhone. Currently this application supports 42 languages ​​for translation and dictionary services. Its use is really simple. You just say the word or phrase to be translated and iTranslate Voice tells you the target language. If you suspect or have understood the translation wrong, you correct the option. Through AirTranslate you can wirelessly pair it with another device that also has installed iTranslate Voice. Both users only speak their native language, iTranslate Voice takes care of the rest. If you want to quickly and effectively overcome the language barrier, iTranslate Voice allows you to do this for only $1.99 its cost at Download. This is one of the best translation apps for iPhone. 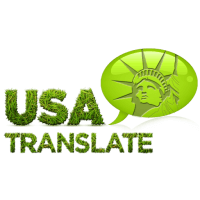 The free translator allows the translation of 80 languages ​​by speaking or typing search and Google Translate will translate it in the selected language. Also this application has the ability to maintain a favorite section, in which you can save common phrases that will help when traveling in a country where you are not familiar with that language. Also despite the translation of phrases and text, Google Translate also lets you type in a dictionary to translate only one word. This is also an excellent solution and the best option if you want to convert your handwriting languages ​​such as Chinese or Japanese. iTranslate an application that supports translation into more than 80 languages has become available. You have the option by entering text or through speech recognition to remove ads and get more opportunities for additional purchases for the application. Just like the previous application, it supports character input for languages ​​such as Chinese, Japanese and Latin. However, it takes a step further with Romanization and can translate symbols in writing in that language quickly and easily. Ease of this application is that via the predictive text it allows a faster and more efficient process by trying to guess what you’re trying to type in advance to get the desired translation. Also iTranslate is a free tool and is one of the best translation tools. This application supports translation into more than 30 languages ​​and works on the basis of a two-sided translation app. You only need to select the target language and to speak it, and then loudly iVoice Translator will translate what you want. The other person you communicate with speaks back and iVoice will dictate the response in your language. As in previous tools this makes communication easier for both parties. For only $0.99 you can download iVoice Translator Pro for more conversational optional translation. Pixter is not a dedicated app translation, but can definitely be treated as one. All previous applications allow translation through writing and speaking, while Pixter Scanner OCR translates printed text through images. It does this through Optical Character Recognition. Select the source language and you will be able to translate 32 languages and is currently available for only $2.99. What are the translation apps for iPhone that you’re used so far and which applications do you use regularly for translation through your iPhone? How could these applications facilitate the communication and how do the current options offered by existing applications meet your needs? You can find out just by using one of these tools on your iPhone. Like with any other app these days, the above tools can be used if you need casual translation when you travel for instance, as they will provide you with a basic understanding of what is being said. However, using translation apps for iPhone in business settings could be a bad idea as no computer app is able to replace human translators at this time, so always use professional translation whenever needed.